Holidaying at home satisfies all the homing instincts in me. It is like pulling up draw bridge and locking out the rest of the world. Try as they may, hotels and other holiday venues never really capture the real comforts of home. I admit, it has taken years of practice to truly relax and ignore the to-do list that gnaws away inside my head or at least turn down the volume sufficiently to keep those guilt gremlins at bay. Released from those pressures I have had time to think, to read and to fully enjoy cooking and gardening. My camera has had more use in the last two weeks than it has in the last two months and I can feel myself falling in love with photography all over again. Looking back on the few daily snaps of the last week I can instantly tell those photographs that were taken in a hurry and those that I was able to take time to think, to play and enjoy the whole creative process. The beauty of holidays, whether at home or away, is the luxury of time to spend as you wish. But that time is running out now and in a few days we’ll be back into our usual routines although mine will most definitely be more pleasurable for a couple of weeks as I am not back fully in work harness until the end of the month. At which point I shall start my quest to perfect being a Domestic Executive again. 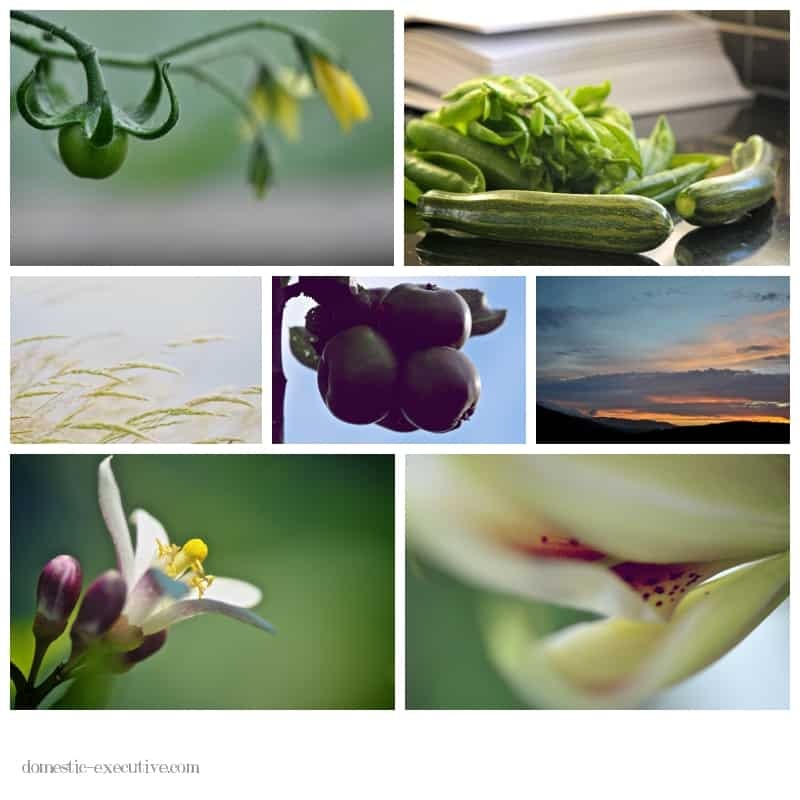 What gorgeous photos… and their subjects are what constantly pull me out to the garden, and keep me captivate. I’m really happy to be getting your daily shots in my mailbox. Thanks.